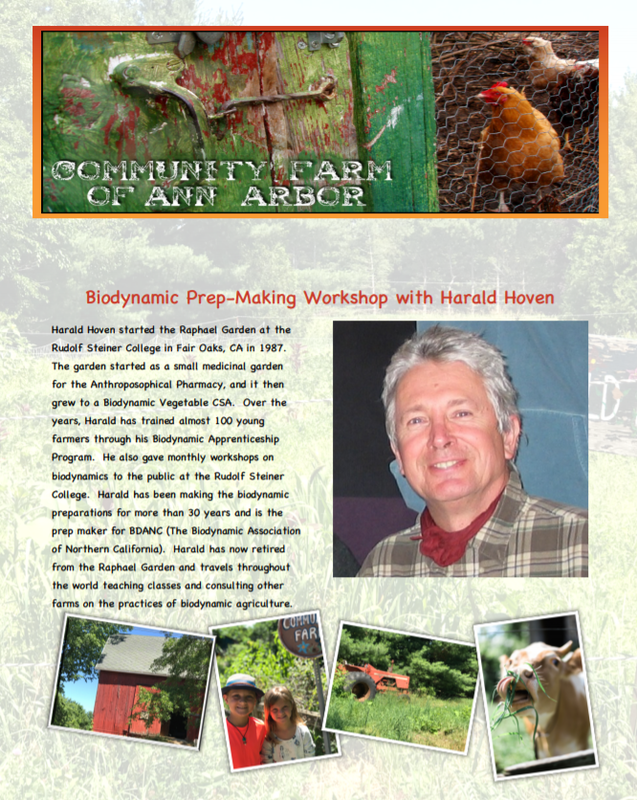 Join us at this hands-on field day to learn more about Biodynamics! 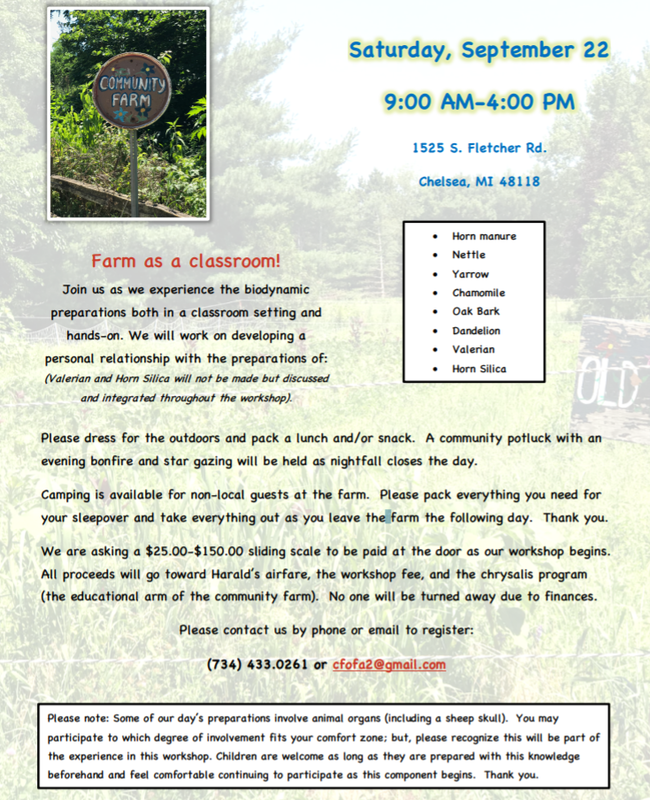 Attendees will tour Zinniker Family Farm, the longest-running Biodynamic farm in the United States. The remainder of the day will be spent unearthing the Biodynamic preparations buried last fall and preparing new ones for the summer months. Be prepared to get a little dirty! Boots and gloves are recommended. In the Agriculture lecture which led to the development of Biodynamics, R. Steiner speaks at length about the cosmic and earthly substances and forces involved in plant, animal, and human health. Many people find this part challenging to understand. We asked Dr. Thimmaiah to help us deepen our insight into this important dimension of R. Steiner's teachings. Full details in pdf attached below. Biodynamic Farmscaping increases farm fertility and immunity with medicinal plants and beneficial insects. Learn to diagnose disorders, prescribe remedies, and administer antidotes that help nature heal. and identifying yourself with Northern Plains Sustainable Ag and/or NPSAS. We must create systemic changes now for future generations. We can recognize an imbalance where politics and financial interests impede on the freedom of culture and render it voiceless. Today it is our task to strengthen, unite, and forge an identity for the cultural realm.